I am seduced by economic models and waves. 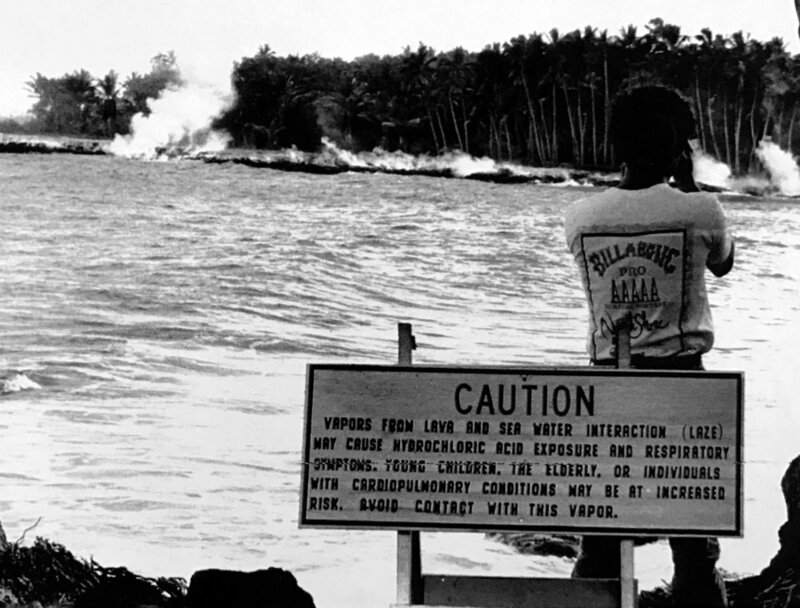 Watching water crash on a shoreline is pleasurable like reading a data visualization. 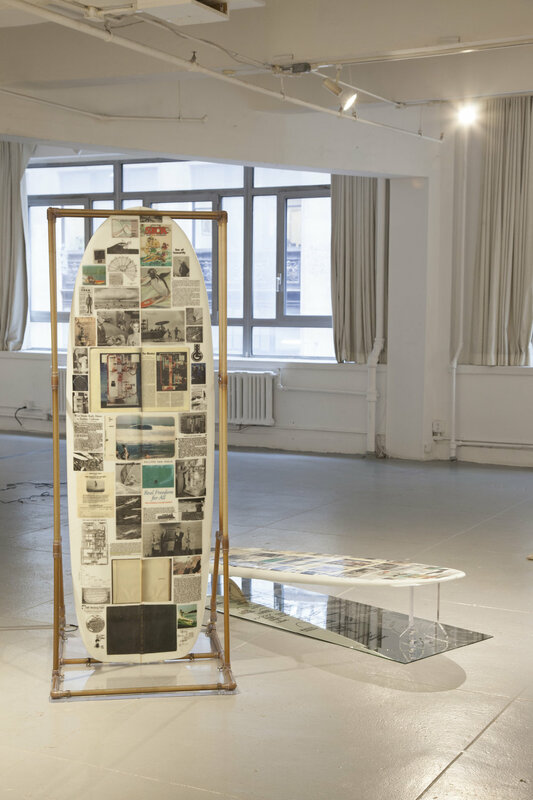 A wave is momentarily poised at the threshold of land and sea, an economic model at the intersection of real and imagined accounts of the world. I am trying to see these as “ecstatic forms” (11), at once fascinating, boring, and disturbing, like surfers scanning the shape of a swell for the next set. I am reading and surfing a model in the wake of enigma, capital, and war. 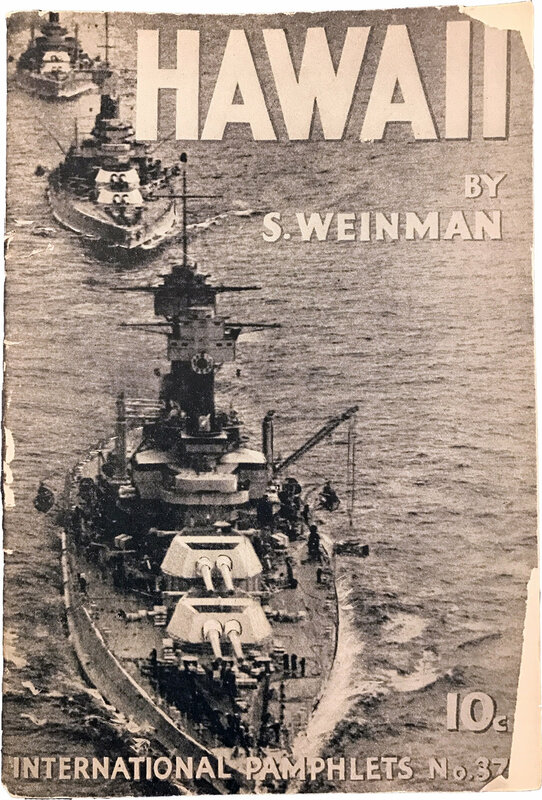 In the aftermath of WWII, the field of macroeconomics had a brief moment when economies could be modeled with water. But the notion that capital moves like liquid flows was not new: Thomas Hobbes compared money to blood in Leviathan; David Hume’s Political Discourses declared that money is like water; and Adam Smith’s Wealth of Nations likened money to water mills. In 1892, Irving Fisher made a mechanical economic model using cisterns and pipes, and in 1922, William Foster continued plumbing the capitalist economy with the Circuit Flow of Money (38). Contemporary descriptors of capital remain soaked with marine metaphors: liquidation (46), fluidity, wave cycle, cash flow, revenue stream, prime the pump (51), dark pools, offshore banks, underwater options, buoyant growth, sunk cost, flooded markets (5), drowning in debt, bail out (as one might a sinking ship). Bill Phillips (25, 43) grew up on a farm that was powered by a water wheel. 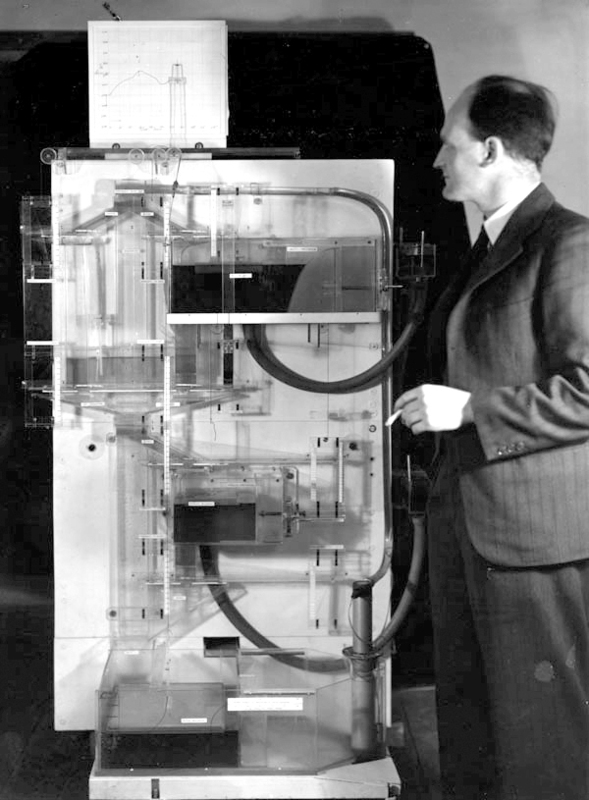 In 1949, he designed the Phillips-Newlyn Machine – aka “The MONIAC” (21) – a hydraulic computer for modeling a Keynesian economic system. Water rather than electricity circulates through the machine’s series of tanks, pumps, sluices, and balances, which conspire to output a line graph of prosperity and depression. The first Phillips-Newlyn machine was con-structed largely from military surplus materials. 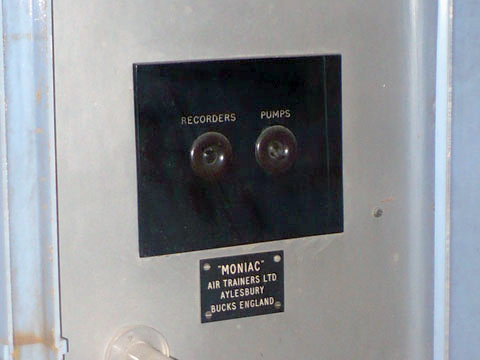 The on/off switches were manufactured by a company that produced analog flight simulation computers for pilot training (6). 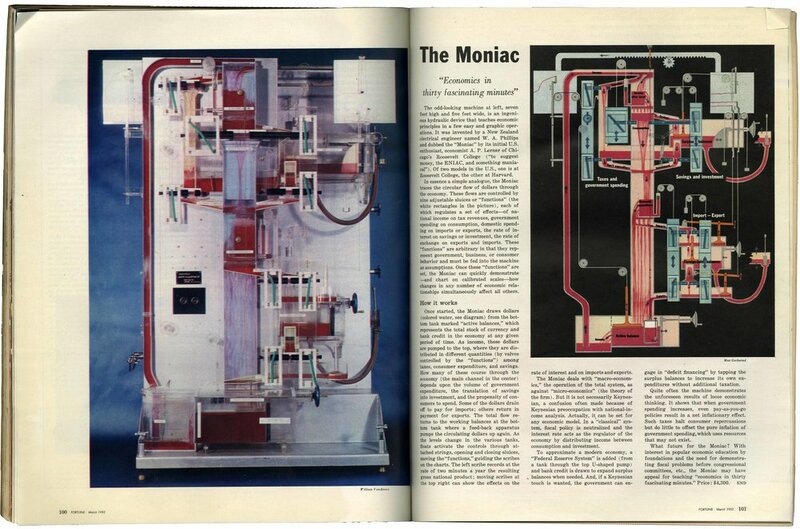 In the 1950s, economist Abraham Ptachya Lerner (31) licensed the Phillips-Newlyn design and redubbed it the MONIAC “to suggest money, the ENIAC (18) and something maniacal,” offering it for sale as a pedagogical tool. Firsthand accounts tell of the MONIAC springing leaks and spilling red-dyed water everywhere – a prediction for disaster (2, 4). Otto Bayer (20) first synthesized polyurethane foam as a chemist for corporate conglomerate IG Farben (19), the material and chemical production apparatus of the Nazi regime. The Nazi occupation of northwestern Europe began to recede after a network of marine observation stations determined when small surf would enable Allied forces to invade Normandy (7). 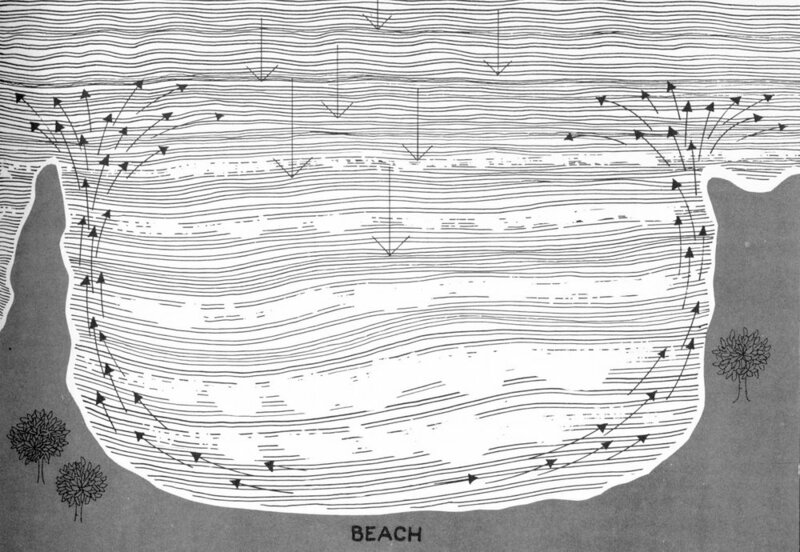 It was perhaps the first time in Western thought where weather systems an ocean away (49) were understood to affect waves on a distant beach (45). 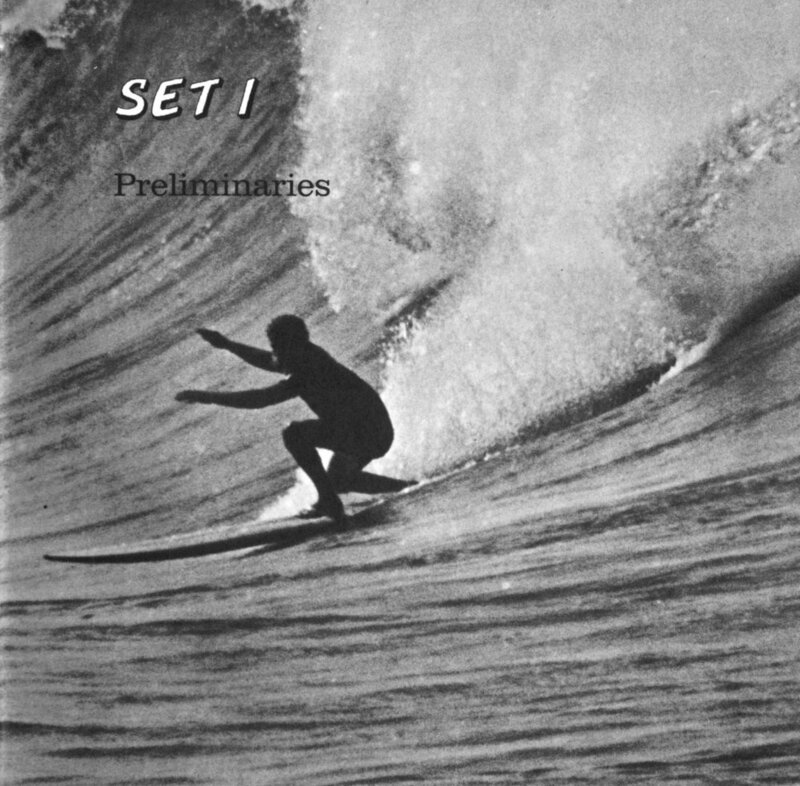 This laid the groundwork surf forecasting and the contemporary surfer’s obsession with weather data in the search for swells. California was a center for military research and development in the mid-twentieth century. 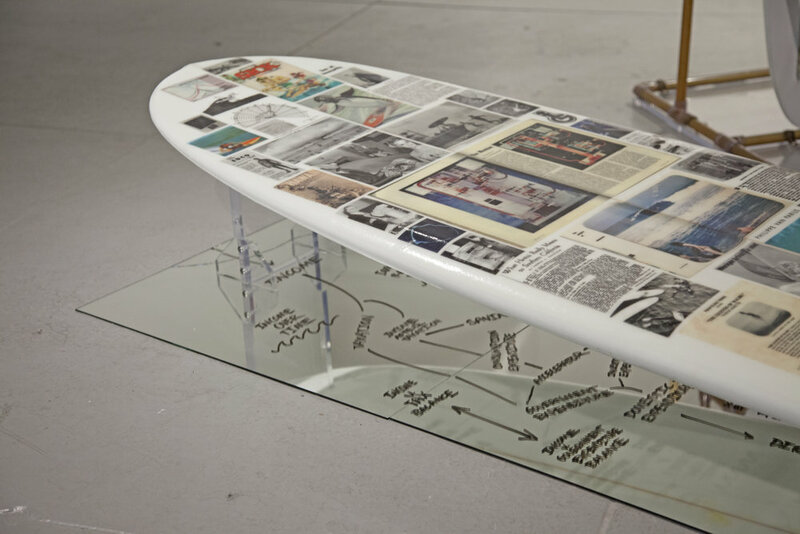 Many workers and students in the industry were also surfers, and they began to use newly available materials such as polyurethane foam (30) and fiberglass (37) to design surfcraft. 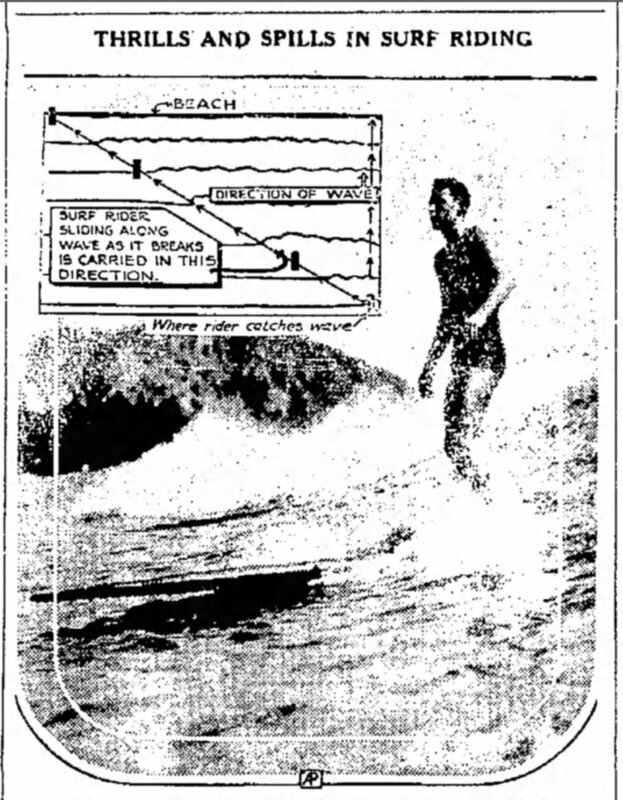 Bob Simmons (28) was an engineer and surfer best known for adapting the hydrodynamic planinghull shapes first developed by wartime naval architect Lindsay Lord in Pearl Harbor (47, 35, 17), for surfboards. 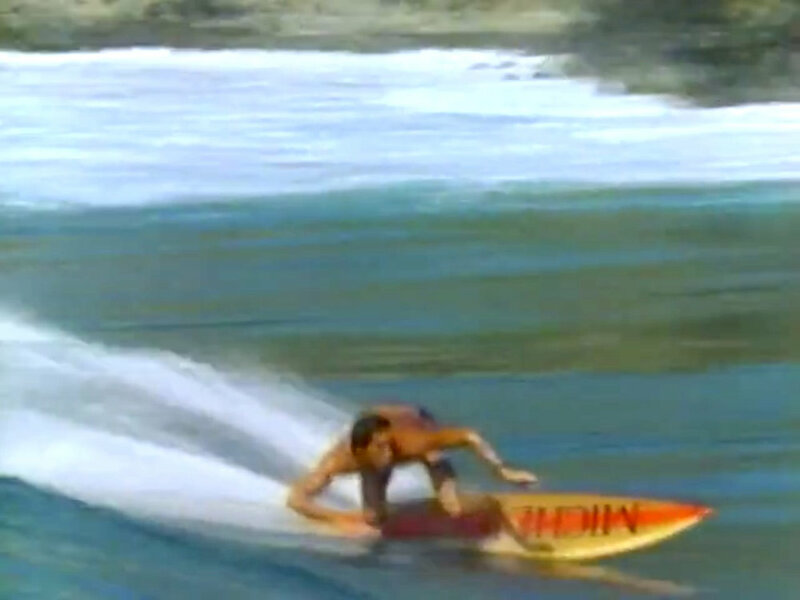 The influence of Lord and Simmons shifted the paradigm of surfboard design from long, wooden displacement craft toward shorter, lighter, hydrodynamic boards (15). Surfing became contingent on reducing friction between surfer and swell to a seamless flow, as if waved along by an invisible hand. The wetsuit also smoothed the relation of surfer and wave. 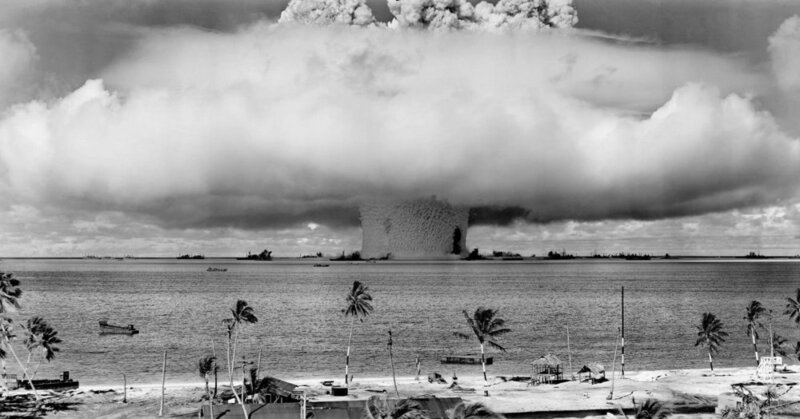 Hugh Bradner (22) was a diver, physicist, and designer of detonators for nuclear bomb tests at Enwetak Atoll (13, 23). He invented the wetsuit upon his realization that trapping water near the skin with a membrane would insulate better than a cumbersome, leaky barrier around the swimming body. Bradner co-founded Engineering Design Company (EDCO) in Berkeley, selling wetsuits (12) that surfers wore to ride waves in cold waters previously uncharted and unsurfed. 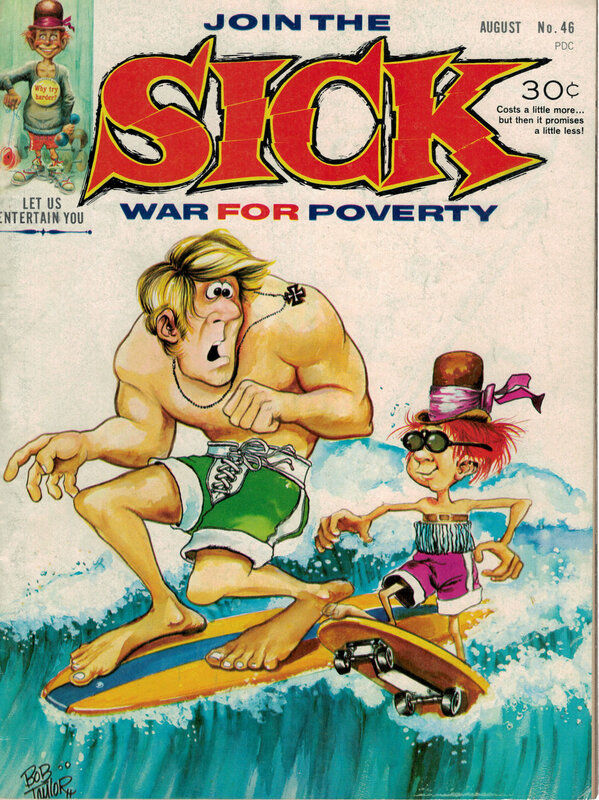 The counter-cultural figure of the surfer (3) came into focus against the backdrop of the Vietnam War. 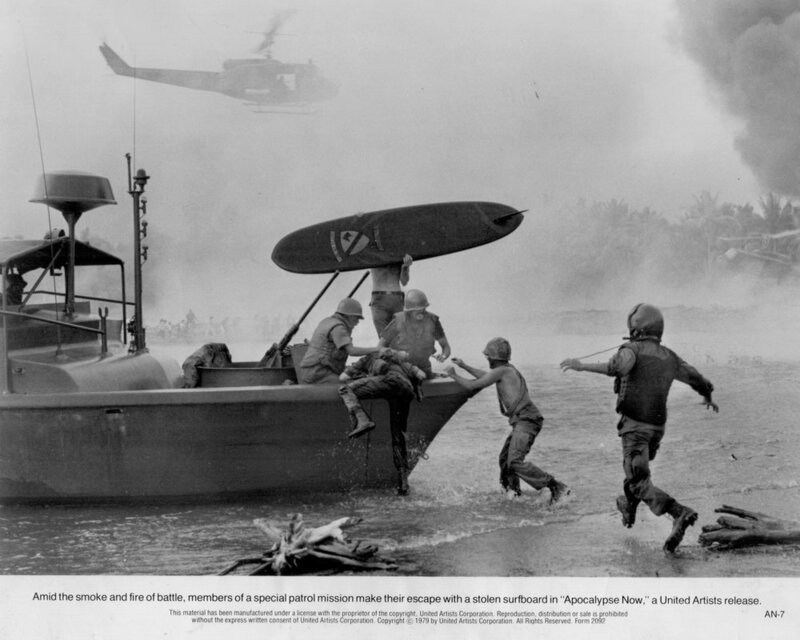 Francis Ford Coppola’s 1979 Apocalypse Now depicts soldiers surfing (16) during an assault on a Vietnamese coastal village. This iconic scene is a quotation of a real event. 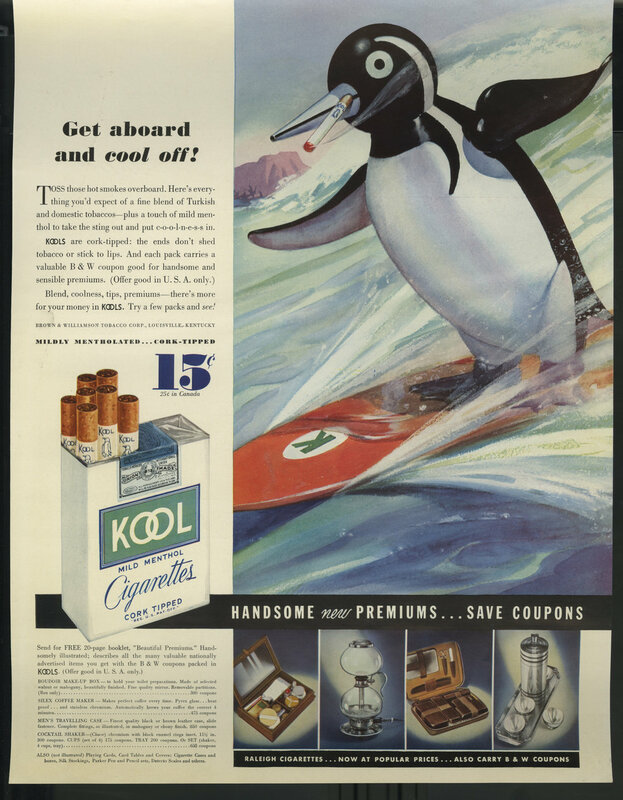 In 1966, the USO held a surfing contest at Da Nang where the military maintained an R&R station and had made surfboards available for soldiers’ use (14). 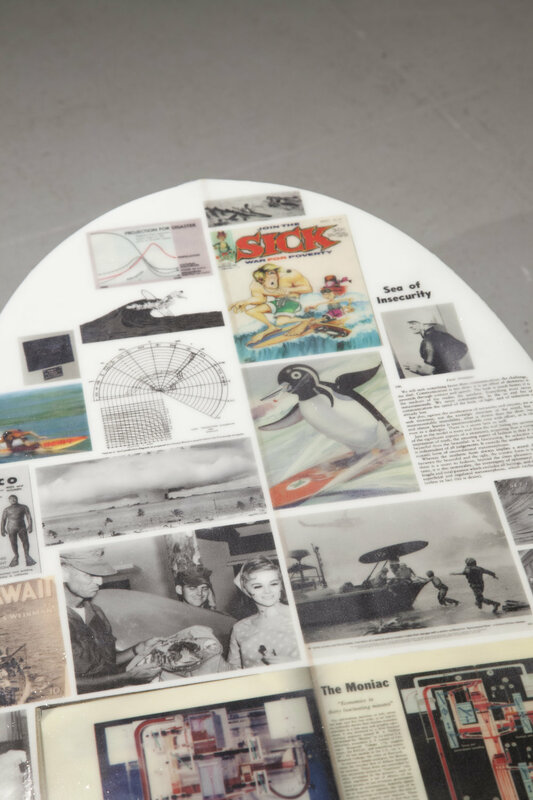 At the 1970 World Expo in Osaka, the U.S. pavilion featured a display of custom surfboards, a mirrored wave-like form, and projected surf footage (41), pointing toward a future when the 1960s and 70s would be signified as much by images of surfing (8) as the Vietnam war. Surfing as conquest traces back to early accounts of surf riders by colonizer Captain James Cook (1), who was resisted and killed by Hawaiians in 1779. 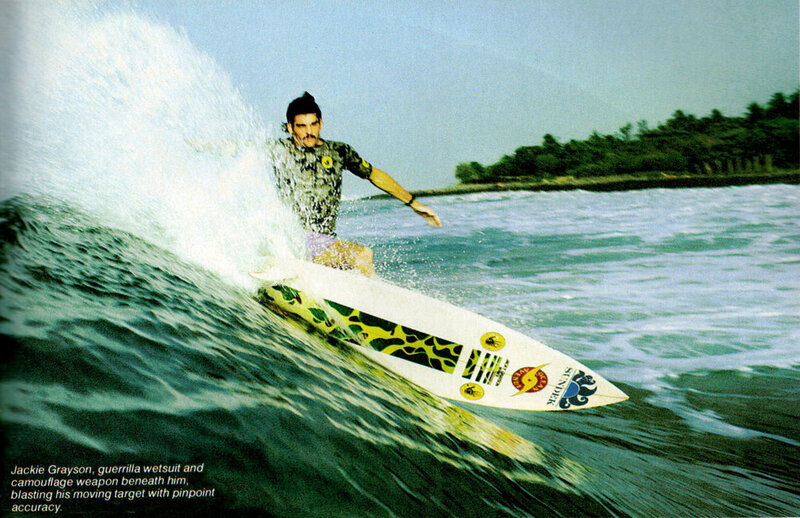 Calvinist missionaries attempted to erase surfing in the islands (29) by associating the practice with idleness, sexuality, and perdition. 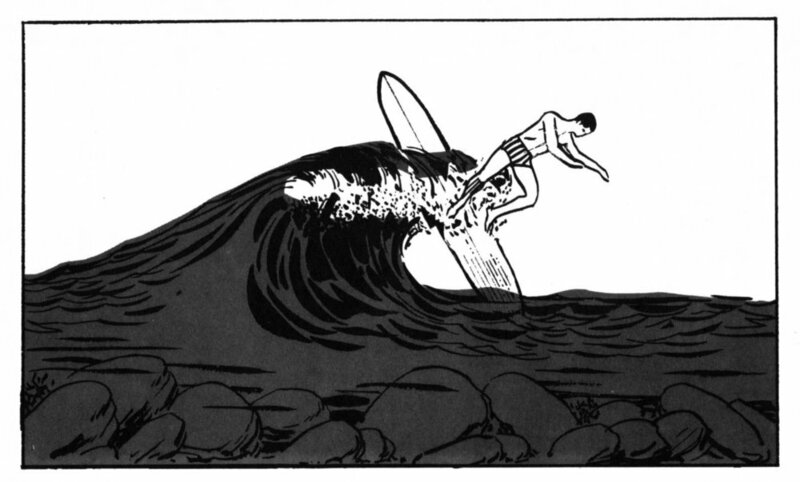 As early as 1917, surf riding entered popular imagination (50) and became a staple pastime for the American leisure class. 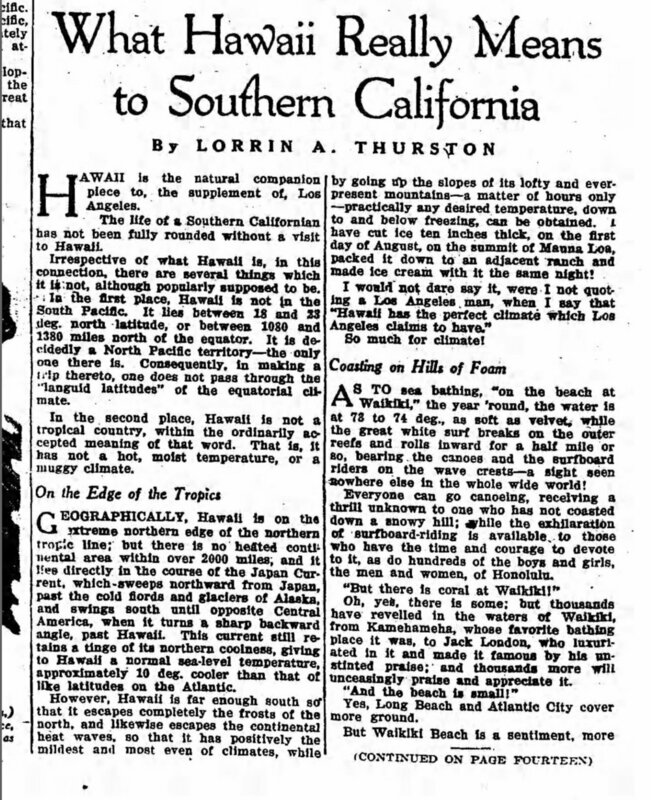 Developers in Hawaii co-opted surfing to attract tourism (24, 27) and, by 1935, product advertising was saturated with waveriders (10). Surfing was cool. Rachel Carson’s 1951 The Sea Around Us (42) formulates the ocean as a romantic ecological system circulating on the surface of the globe. The surfer awaits waves (36) on this surface with an apparatus made of violence, chemicals, and sand (48). The process of surfing seems to dissolve contradiction into a spiritual rapture characteristic of Sigmund Freud’s “oceanic feeling” (44). 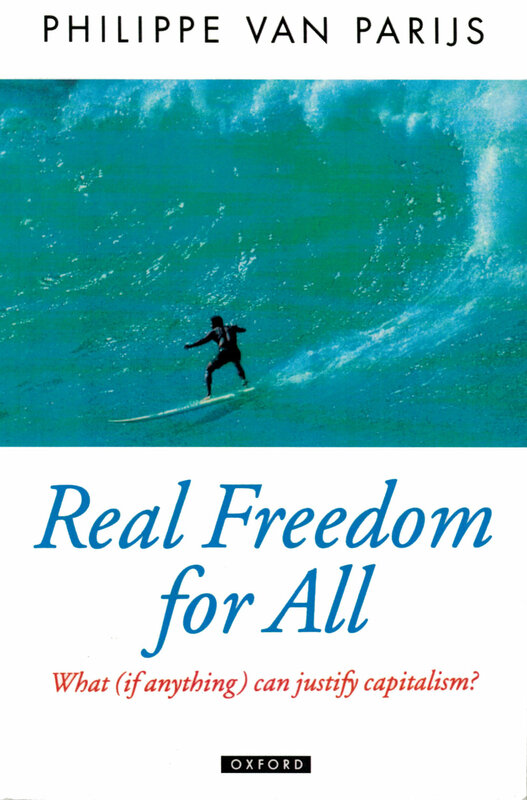 The stoke is shored up by John Rawls’s footnote on the refusal to work (40), which sparked ongoing debate (32) over the so-called Malibu Surfer Problem. 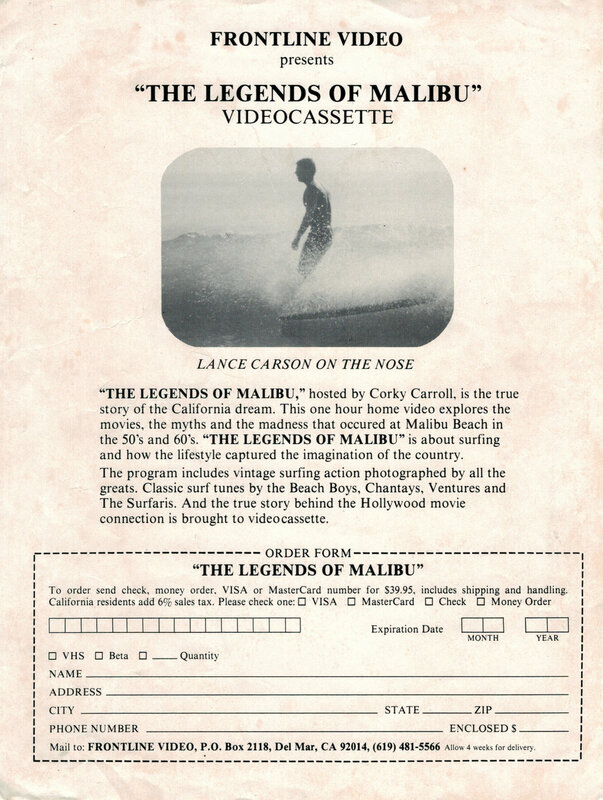 With a global surfing industry valued at more than $10 billion, the image of the lazy Malibu surfer (34) is balanced against a professional big wave rider like Mark Foo (9), who early on embraced corporate sponsorship and died while surfing. 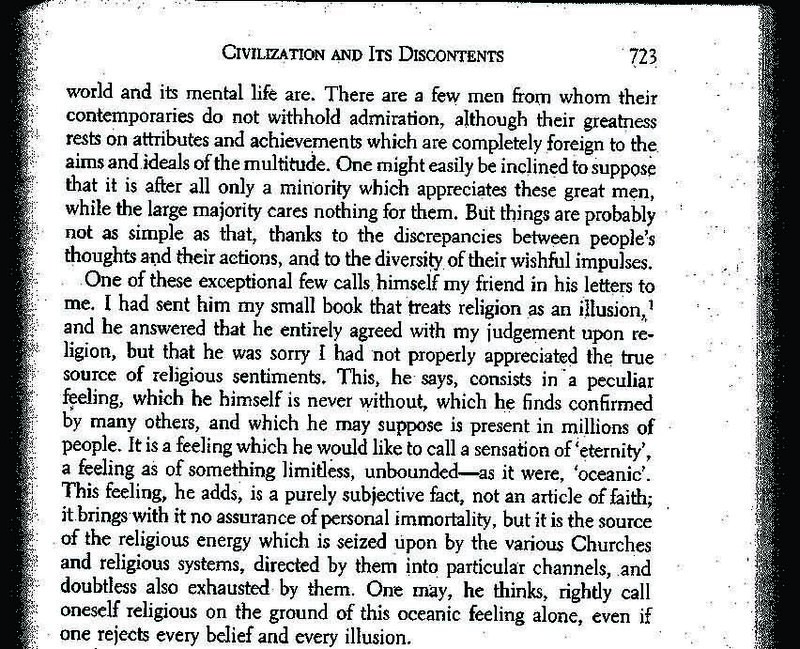 Critiquing the absurdity of rent, Karl Marx (33) describes those accustomed to living within the irrational economic relations of capital as “fish in water.” A skilled surfer is also said to take to the water like a fish. In Kathryn Bigelow’s 1991 film Point Break, a group of surfers rob banks disguised as ex-presidents of the United States (39). A main character whose heist persona is Ronald Reagan says, “This was never about the money, this was about us against the system. The system that kills the human spirit. We stand for something. We are here to show those guys that are inching their way on the freeways in their metal coffins that the human spirit is still alive!” It is an epitaph that imagines acts of violence and standing vertical on a surfboard as means to transcendence in a hyperrealized world, where the surfer’s essence is either emptied into a sea of contradiction or it never existed at all. For as surfing waves become bigger, faster, riskier, so does the beach-front property (26).